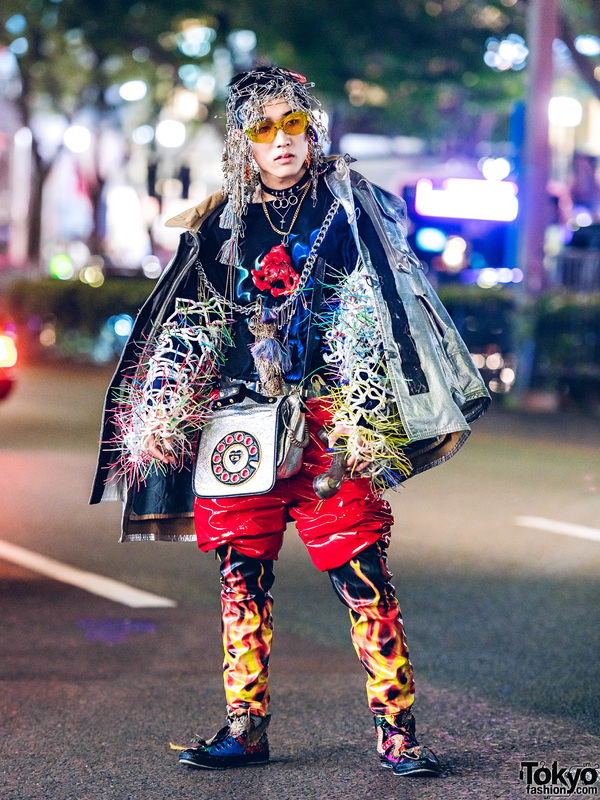 Fashion College student sporting a remake and handmade streetwear style with motorcycle jacket, mohair sweater, plaid punk pants and suede buckle boots. 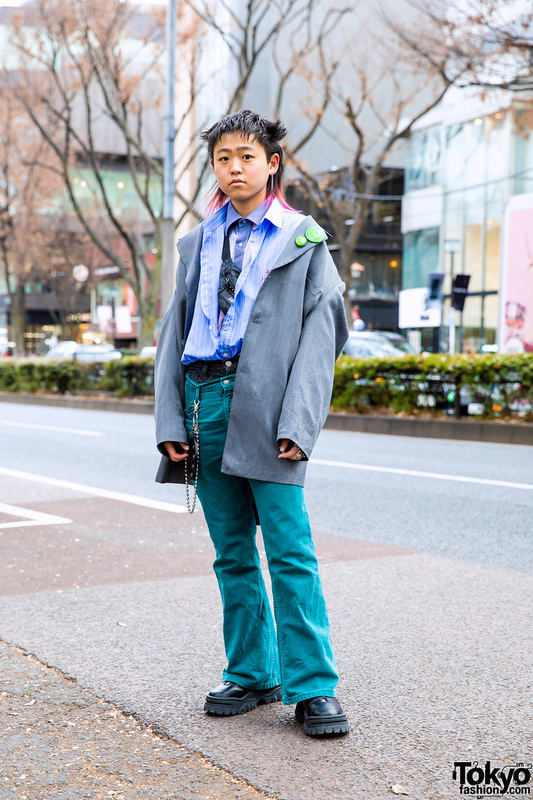 Fashion college student sporting pink-tipped hair in a linen blazer, layered remake shirts, layered denim pants, zipper shoes, silver accessories and a remake studded waist bag. 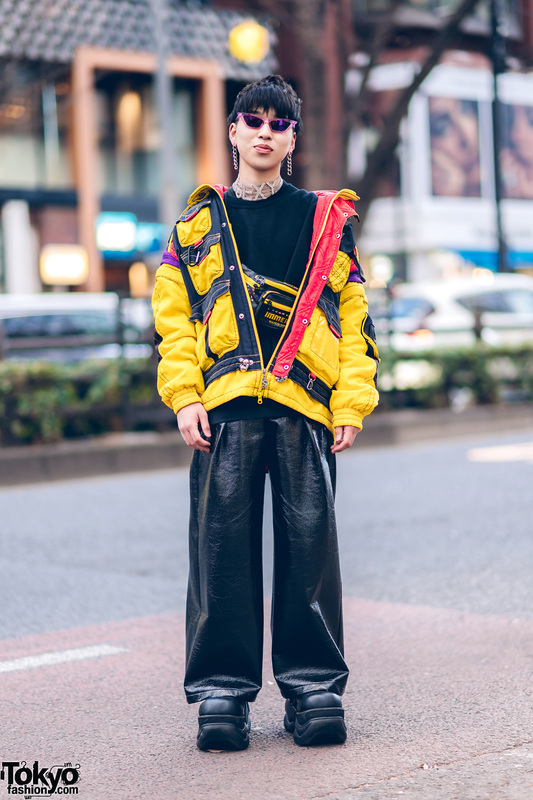 Harajuku student sporting a black and yellow streetwear style with Dog Harajuku zipper jacket, black sweatshirt, Never Mind the XU faux leather pants, Demonia platforms and Nishikaingan waist bag. 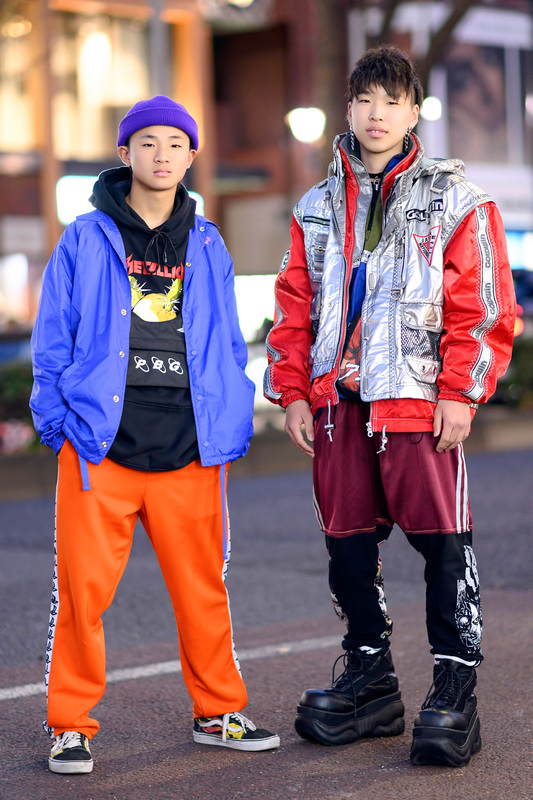 Harajuku teens sporting colorful streetwear styles while out and about on the street. 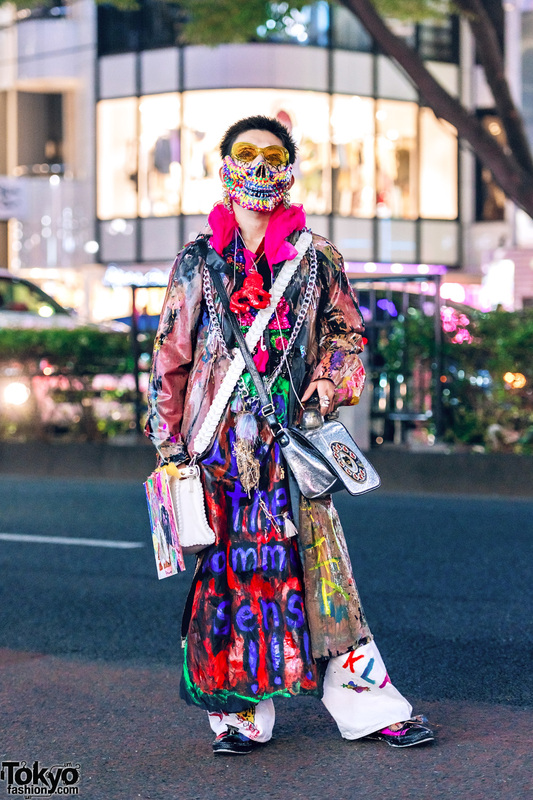 Harajuku guy in colorful avant-garde handmade street fashion. 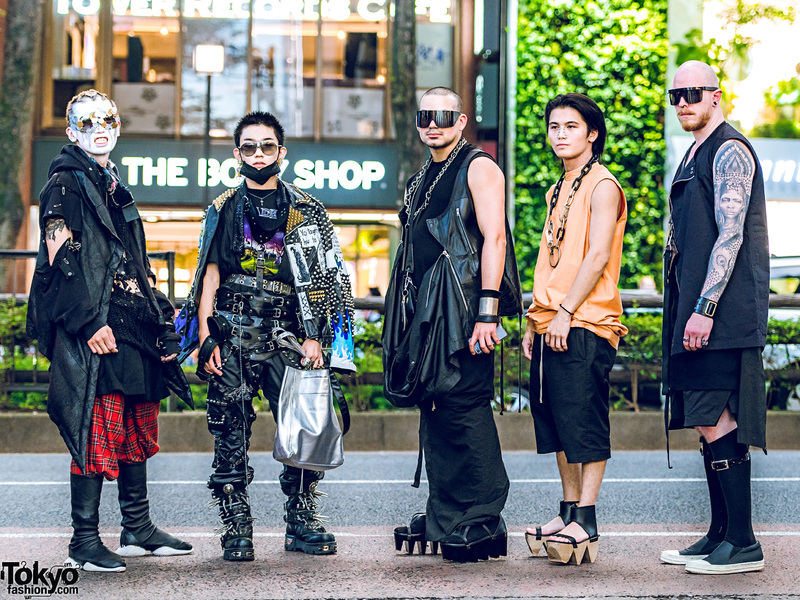 Harajuku guy with safety pin headpiece and avant-garde street style. 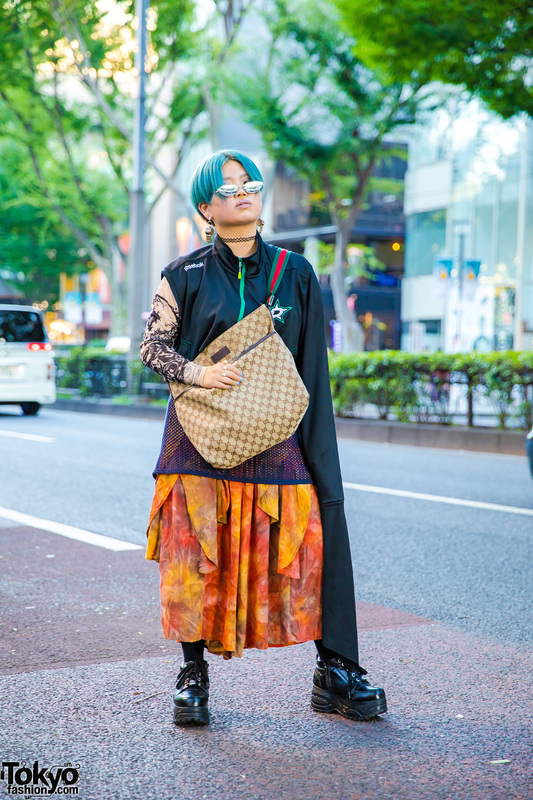 Harajuku girls sporting remake and vintage eclectic fashion styles while out and about on the street. Harajuku girl with blue hair wearing a remake top, an orange skirt, and remake earrings. Japanese teens in black-and-red color-coordinated street styles with mandarin collar top, fishnets, striped sweatshirt, wedge sandals and more.